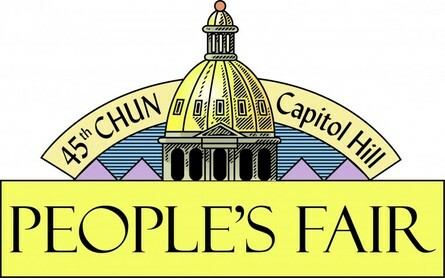 Musicians In Action-CO will be hosting a stage at the 45th annual People’s Fair on June 4th and 5th, where we will be collecting nonperishable food items for the Gathering Place (Denver day shelter for women and children experiencing homelessness and poverty). Please dig into your cupboard and bring a can of food for this worthy cause. The Gathering Place has been serving homeless families for 30 years now. This day shelter provides a most needed refuge from the stress of abject poverty, as women receive food, counseling, education, childcare and many other forms of support. M.I.A.’s food drive will be collecting items for Betsy’s Cupboard, the Gathering Place kitchen and food bank. This is also the 45th anniversary for the Capitol Hill People’s Fair. Apart from music, food and a variety of vendors, the fair offers lots of family attractions as well: bungee trampolines, bounce houses, rock climbing, carnival games, a bubble tower and even a train. The Street Side Mural Project is a live art competition that will also be accompanied by art classes this year (Art in the Park). And there will be something like 25 affordable brews…please join us!